UPCOMING EVENTS SPRING 2019 ! JOIN OUR MAILING LIST FOR THE LASTEST! 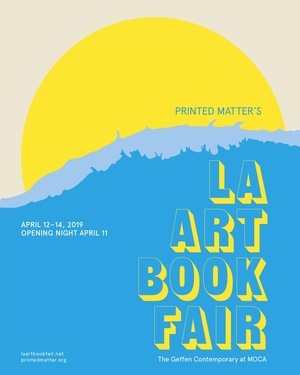 For the sixth time, Arcana: Books the Arts will be exhibiting at the Printed Matter LA Art Book Fair at the Geffen Contemporary at MoCA! This year we are bringing hundreds - yes, hundreds - of artworks, posters, announcements, and other forms of ephemera that have been slumbering in our flat file drawers for the past thirty-five years. We will feature an exciting selection of rarities from the realms of contemporary, Pop, and Conceptual Art, Photography, Design, Architecture, Music, Cinema, and Fashion; including signed works by Andy Warhol, Jasper Johns, Robert Rauschenberg, Bruce Nauman, John Baldessari, James Turrell, Mike Kelley, Raymond Pettibon, Edward Gorey, and many, many more. We'll also have a vintage wire spinning rack featuring an amazing selection of Art-related postcards for sale. We will be restocking with fresh merch each day, so come early and often for the best selection! The Grey Organisation was a London-based artist collective active between 1983 and 1991. 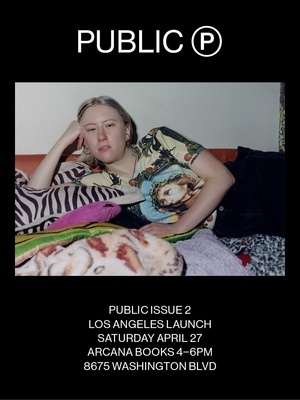 Showing in London, New York, San Francisco, and Tokyo, members Toby Mott, Tim Burke, Daniel Saccoccio (nee Clegg), and Paul Spencer worked in the mediums of painting, sculpture, film, and video. Most infamously, in the dead of night on the 21st of May, 1985 The Grey Organisation staged an "art terrorist action" vandalizing the establishment art galleries on Cork Street in central London with buckets of grey paint to protest their lack of support for emerging artists. Limited to one hundred copies only, this Alex McWhirter-designed book presents Andrew Catlin's documentary photographs of the "Cork Street Attack" along with texts by Mott, Neal Brown, and Stewart Home. On Friday at 4:00 PM author and Grey Organisation member Toby Mott will be signing copies of this soon-to-be-rarity at our booth at the Book Fair. If you cannot attend, place your order for a signed copy here! 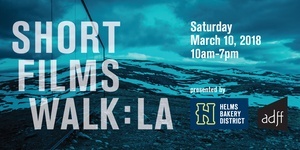 Join us this Saturday, March 9th, from 11 am to 5 pm at @helmsbakerydistrict for a day of free screenings of over 24 short films showcasing architecture and design. 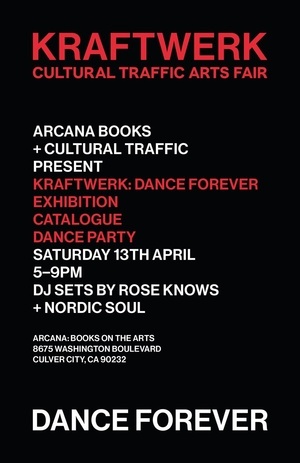 Pop into any of the eight participating showrooms on the walk, including @arcanabooks, Danish Design Store, H.D. Buttercup, Louis Poulsen, Rejuvenation, Room & Board, Scandinavian Designs, and Vitra to experience a unique program of films curated by the Architecture & Design Film Festival. The full program can be found at helmsbakerydistrict.com/sfwla. The films will be shown on a loop and play throughout the day so guests have an opportunity to see dozens of film shorts as they walk from showroom to showroom. We will screen “In Residence: Noe Duchaufour-Lawrance” Directed by Max Hemmings, “Tides Rising” Directed by Marianne Gerdes, and “Charlotte Perriand: Les Arcs” Directed by Spirit of Space. The SFW:LA will conclude with the screening of a feature length film, Renzo Piano: The Architect of Light, followed by a conversation with Kerry Brougher, the first director of the Academy Museum of Motion Pictures, moderated by Edward Lifson. Seating is limited for this portion of the day so please RSVP and find more information at helmsbakerydistrict.com/sfwla. 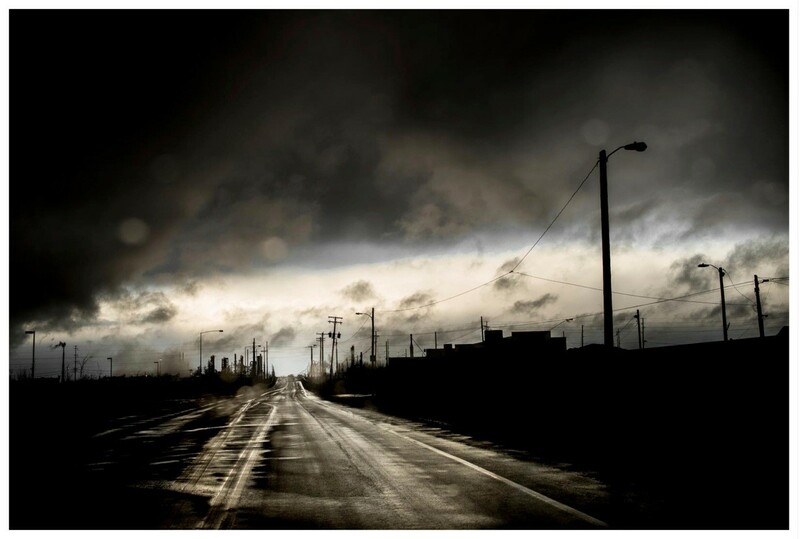 "For over two decades, Todd Hido has crafted narratives through loose and mysterious suburban scenes, desolate landscapes, and stylized portraits. He has traversed North America capturing places that feel at once familiar and unknown; welcoming and unsettling. Underscoring the influences of Nordic mythology and specifically the idea of Fimbulwinter, which translates into the ‘endless winter’, Hido’s new monograph, Bright Black World alludes to and provides form for this notion of an apocalyptic, never-ending winter. 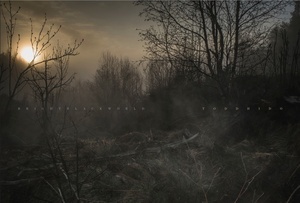 Exploring the dark terrain of the Northern European landscape and regions as far as the North Sea of Japan enchanted Hido, calling him back on several occasions. This presents the artist’s first significant foray extensively photographing territory outside of the United States, chronicling a decidedly new psychological geography. Opening with a text by Alexander Nemerov, Bright Black World contains forty-eight plates printed in an oversized format, featuring two vertical gatefolds and a fold-out poster measuring some 25 by 40 inches. This first printing is limited to 3,000 clothbound copies. Join us this Saturday, December 15th from 4:00 - 6:00 PM to celebrate the publication of our longtime pal Todd's magnificent new book from Nazraeli Press, quaff refreshments, socialize, and engage in some festive last-minute holiday shopping. If you are unable to attend but would like to purchase a copy of Bright Black World - or one of his many earlier titles we'll have on hand - signed by Mr. Hido, please do so on our website here, or by phone at 310-458-1499. Peter Fetterman: "Everything You Always Wanted to Know About Collecting Fine Art Photography" This Sunday, December 16th, 4:00 - 6:00 PM at Arcana! 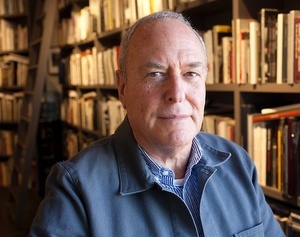 This Sunday we welcome our longtime friend Peter Fetterman for a very special afternoon presentation entitled "Everything You Always Wanted to Know About Collecting Fine Art Photography" during which he will take center stage to recount his many eventful years in Los Angeles as a photography collector, then dealer extraordinaire with Arcana proprietor Lee Kaplan. Afterwards we will open up the floor to the audience for all of your arcane questions. For the event, Peter has also curated a lovely show of framed photographic prints for sale by Gallery favorite Pentti Sammallahti. Born in London, Peter Fetterman has been deeply involved in the medium of photography for over thirty years. Initially a filmmaker and collector, he set up his first gallery over twenty years ago, and was one of the pioneer tenants of Bergamot Station, the Santa Monica Center of the Arts when it first opened in 1994. The gallery has one of the largest inventories of classic 20th Century photography in the country - particularly in humanist imagery - and in-depth holdings of work by Henri Cartier-Bresson, Sebastião Salgado, Steve McCurry, Ansel Adams, Paul Caponigro, Willy Ronis, André Kertesz, Manuel Alvarez Bravo, Lillian Bassman, Pentti Sammallahti, and dozens more. So stop by to hang with books and friends, quaff refreshments, attend to all of that last-minute Holiday shopping, and hear virtually all of Peter Fetterman's secrets of collecting photography revealed! If you are unable to attend but would like to purchase a copy of the brand new, hot-off-the-press, strictly-limited-English-language edition of Pentti Sammallahti: Birds, please do so on our website here, or by phone at 310-458-1499. 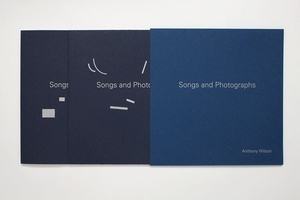 Musical Performance, Signing and Discussion with Anthony Wilson for "Songs and Photographs" This Sunday, December 9th from 4:00 - 6:00 PM at Arcana! In the new album and photobook Songs and Photographs - beautifully produced in collaboration with German artbook publisher Little Steidl - Anthony Wilson brings together a collection of his songs and 35mm photographs that opens a new chapter in his broadening quest for personal and musical authenticity. "Most mornings I wake up and go out wandering with my camera, sometimes in my hometown of Los Angeles, often in places around the world where I am traveling on tour. I look, watch, and take in the space around me. I’m conscious of my attentive state, totally absorbed in noticing things. My path determines itself, each picture leads me to the next. It’s a meandering journey through a landscape or cityscape, but also through my own personal experience. Often the smallest things are what stop me in my tracks and compel me to point the camera and snap the shutter. In Songs and Photographs, the visual and musical paths of my process converge into a single work in which the songs and the photographs speak back and forth to each other." Born in Los Angeles in 1968, guitarist and composer Anthony Wilson is known for a body of work that moves fluidly across genres. The son of legendary jazz trumpeter and bandleader Gerald Wilson, his musical lineage has deeply influenced his creative trajectory, compositional choices, instrumental groupings, and the wide-ranging twelve album discography that blooms out of them. An inventive soloist and sensitive accompanist, Over the past two decades Wilson has joined a diverse roster of jazz masters on their recordings and performances, including Ron Carter, Mose Allison, Bobby Hutcherson, Madeleine Peyroux, Joe Sample, Al Jarreau, Harold Land and Diana Krall. And while his footing is firmly rooted in the jazz idiom, Wilson pivots with ease into other genres, having contributed his instrumental texture and improvisational authority to albums by pop music legends Paul McCartney, Willie Nelson, Leon Russell, Aaron Neville, and Barbra Streisand. Join us this Saturday between 4:00 and 6:00 PM as Anthony Wilson will be performing an intimate set from Songs and Photographs with Jay Bellerose, Patrick Warren, and Garret Lang followed by a discussion with producer Joe Harley and publisher Nina Holland of Little Steidl. 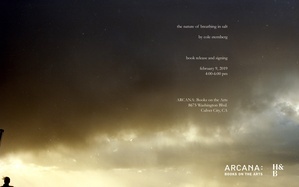 If you are unable to attend but would like to purchase a signed copy of the exquisite book and 12" vinyl LP that comprise Songs and Photographs, please order from our website here, or by phone at 310-458-1499. Born in Brazil, photographer Mona Kuhn currently resides in Los Angeles. Through intimacy with her subjects, knowledge of traditional iconography, and technical mastery, Kuhn portrays the complexities of human nature, both tempting and provoking our imagination. 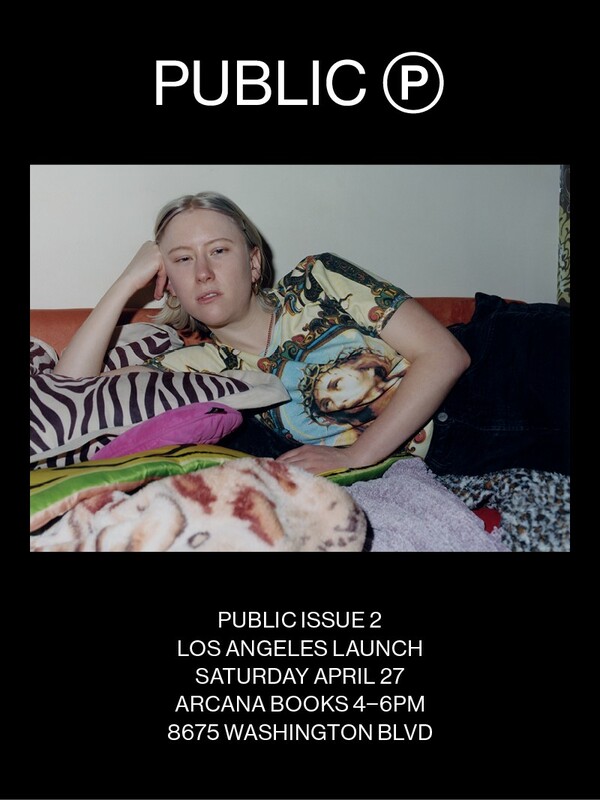 Newly published by Stanley / Barker in the UK, Bushes & Succulents is Mona Kuhn’s celebration of the female essence - confident, raw and elegant, yet confrontational and unapologetic. Join us Saturday, December 8th from 4:00 - 6:00 PM for a conversation between photographic powerhouses Mona Kuhn and Deanna Templeton, refreshments, and some festive Holiday shopping. 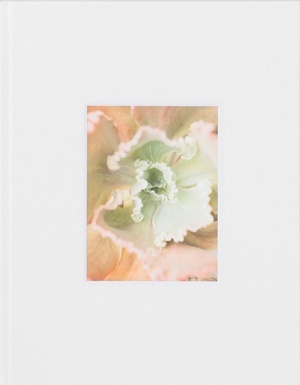 If you are unable to attend but would like to purchase a copy of Bushes and Succulents signed by Ms. Kuhn, or Swimming Pools signed by Ms. Templeton, please order from our website here, or by phone at 310-458-1499.